One of the Poland's premier academic institutions, the Cracow University of Economics has driven new ways of thinking about economy and business since our founding. Today, CUE is an educational destination that draws inspired scholars to international environment, keeping CUE at the nexus of ideas that challenge and change the academic field of our country. CUE is one of the nation's top public research universities. 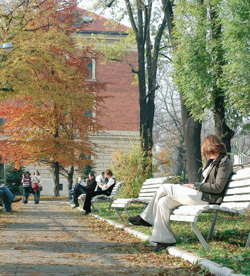 CUE is one of the first Polish universities to offer educational programs for international and Polish students conducting in English. 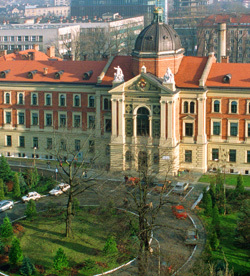 The Cracow University of Economics campus is located in the center of Krakow, in the vicinity of the main railway station, the regional bus station, and a large transit hub (city trams and buses). 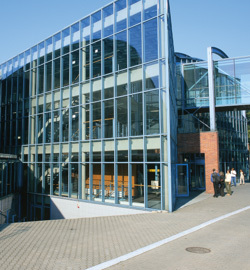 The University owns 15 buildings where lectures and classes take place. The campus houses many facilities such as: the language center, the library, sports facilities, canteens and cafés, the career center and the university clinic. Krakow is ideal place to live and study. The city is the historic heart of Poland, and its former capital. The area was already a bustling trading post and centre of civilization over 1000 years ago. Many of the streets still follow the medieval roads and you will find countless monuments of the past – not just in the city’s many museums, but all around you. Kraków is an increasingly popular destination for travellers – with about 10 million tourists visiting the city every year. It is particularly trendy with younger travellers looking to have fun, to find something original and interesting. There is always something exciting going on: any kind of music imaginable, hundreds of events, festivals, parties, and activities to choose from. Kraków is a Polish icon. Many nicknames have been given to this beautiful city: the "Little Rome", the "Florence of the North", the "Little Vienna", and even, the "Polish Jerusalem"... Flattering as these comparisons may be, the truth is, Kraków is unique and special: one of a kind.